Despite the wealth of alternative reinsurance capital being untested in the face of a large loss event, it’s increased maturity and potentially symbiotic relationship with traditional reinsurance suggests that it isn’t naïve capital, according to industry leaders and executives. The persistent influx of alternative reinsurance capital in the global insurance and reinsurance markets, at times of benign losses, has often sparked debate about the capital’s permanence and longevity, especially in the face of a large loss event. It’s been more than a decade since a landfalling hurricane impacted Florida, and despite a recent uptick in global catastrophe losses in the first-half of this year, since alternative capital really started to influence pricing and intensify competition in the marketplace it remains largely untested in the face of a significant event. But while the expansion of insurance-linked securities (ILS) has created a new means of capital to enter the catastrophe re/insurance landscape, and increasingly other business lines too, this doesn’t mean that it’s inexperienced. “The fact that this is a new route for capital to come into the market doesn’t mean that it is naïve and that the skill base that the market has will disappear. “I think all of the ILS funds now, certainly all of the major ILS funds, are staffed by people who have long experience as reinsurers, who’ve been through the market cycles, and who see this as a new vehicle for capital efficiency. We’ve not lost the traditional skill base,” said John Butler, Managing Partner, Head of Sourcing at Twelve Capital, during a discussion at the Artemis SIFMA IRLS Executive Roundtable 2016. In more recent years ILS capital has been seen to claim an increasingly larger slice of the overall reinsurance market pie, offering efficient, diversifying capital and structures that supplements the more traditional reinsurance business model. Some industry observers and analysts have in the past suggested that when the next big event does occur, a substantial amount of ILS funds/managers and their capital will exit the space. However, as highlighted by Butler, one of the reasons this might not be the case concerns the increased experience of ILS funds and managers, with regards to the cyclical nature of the reinsurance market. And this is being achieved both through the hiring of people with extensive market experience and knowledge, and heightened education and maturity of the ILS space and its investors. The employment of those with experience in the traditional reinsurance market cycle, and therefore experience of how the market reacts post-event, means that ILS players can become well-equipped and also prepared for when the next big loss takes place, despite not actually being operational when the last event took place, or during the last softening cycle. Furthermore, owing to its increased sophistication as an asset class and also the growing maturity and comfort the ILS investor base shows in assuming insurance and reinsurance-linked exposures, an expanding number of insurers and reinsurers now work with some form of third-party capital. Insurers and reinsurers utilising ILS in the forms of catastrophe bonds, sidecars, collateralized reinsurance and so on, alongside their own balance-sheets, helps to expand the reach and experience of ILS investors, capital, and structures. Combined with ILS funds and managers increasingly being staffed with experienced reinsurance industry players, the above supports further convergence of the markets and are a sign of the potential synergies between the two. A point raised by Cory Anger, Global Head of ILS Structuring at GC Securities, during the Roundtable discussion. “I think that the fact that many of the reinsurers out there are utilising alternative capital, either to advance their own business or hedge their own risks, is an example of the symbiotic relationship that could be there. I think again it’s really looking forward to how do we move the needle from here?” said Anger. Only time will tell how the market will react when a large event occurs, but the sophistication of ILS and the consistent convergence of alternative and traditional reinsurance business models places the sector in a solid position. The experience of previous market cycles and knowledge of post-event conditions will be vital in how funds and managers within the ILS space manage and respond, when the next event does happen. 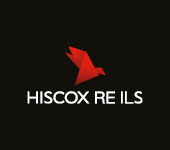 The maturity of ILS investors and willingness to understand the exposures of their investment in the space, despite it only being a small part of their overall investment portfolio, is another factor that positions the sector well to respond to a significant, market influencing event. Insurers and reinsurers will undoubtedly continue to evolve and adapt their business models to incorporate ILS structures and capital, which can help to diversify and increase efficiency, a trend that will further support the expansion of the space and ultimately blur the lines between traditional and alternative reinsurance. Of course, when a significant event takes place capital will exit the market, as is seen in all cyclical markets, but the fact that ILS capital is newer than more traditional sources of capital, doesn’t mean it’s necessarily less experienced, or naïve capital, as discussed by Roundtable participants. 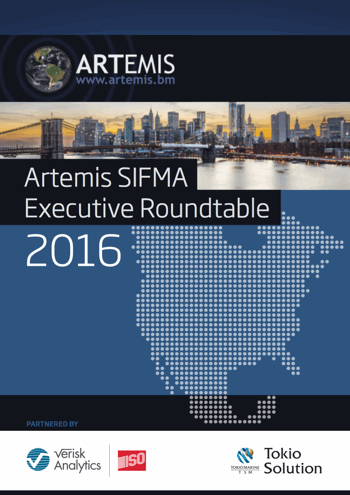 Download a copy of the full report from the recent Artemis SIFMA IRLS Executive Roundtable 2016.